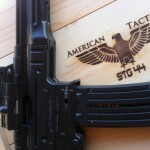 In 2011 American Tactical Imports announced they would be importing two German Nazi mock-ups in .22LR. 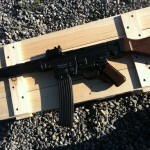 Pictures of the .22LR MP-40 and StG -44 shown at Shot Show quickly spread through the forums and gun blogs. 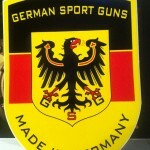 In 2011 we got confirmation from ATI that German Sport Guns would be importing them once all the approvals were in place. 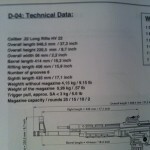 What the FFL’s saw was an item that was eventually added to distributors catalogs. Later a picture was included with the item number and an MSRP of $599.99. Earlier this year the catalog quantity went from zero to “Allocated”. 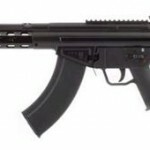 Other firearms we typically see allocated are the KelTec RFB, KSG, and PMR. But we also see items like the Bersa .380 lineup, or at least some models, but those models trickle into the shelves of dealers frequently. Not knowing how long I would have to wait; I got on the list with my distributor. 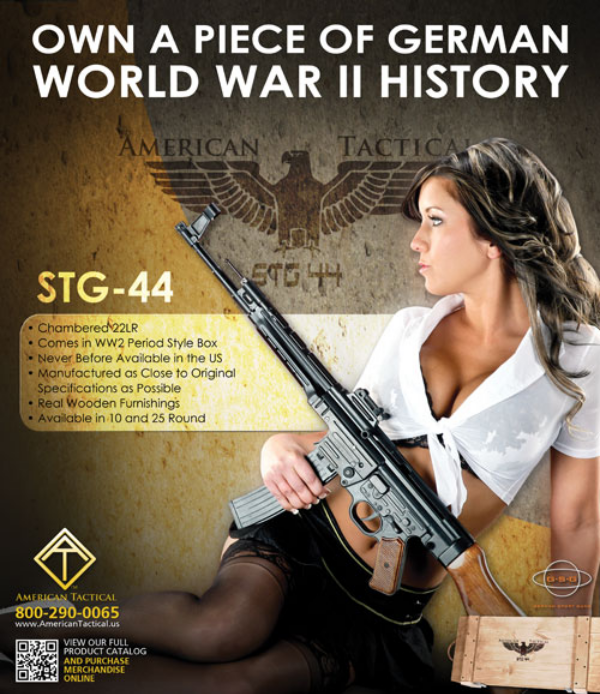 The manual lists the firearm make “German Sport Guns Gmbh” and model “GSG-STG44”. 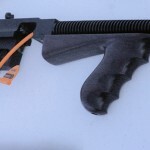 The actual firearm receiver is marked as make “American Tactical”, model “Schmeisser GSG-STG44”, with an additional import marking of “ATI Rochester NY”. Like other GSG made .22 firearms the caliber is listed as “.22LR HV” making it very clear these semi-autos are designed to be used with high velocity ammunition. 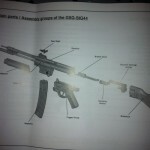 Inside the manual it actually links to the Wikipedia article on the STG44 for more information about the origin. As a side note: Hugo Schmeisser was the original lead designer of the WWII StG44, thus explaining the name given to this rimfire replica. 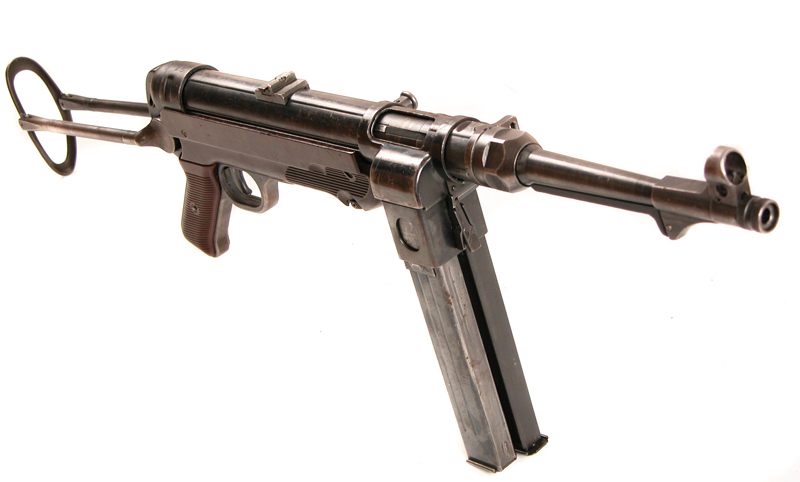 Erroneously the MP40 has been nicknamed the Schmeisser, almost as soon as it was fielded, though he was not involved with its development. By coincidence the day I picked the gun up was one of my days scheduled as a volunteer Range Safety Officer on the city public range (without volunteers we may lose the range, I’m putting my time where my mouth is). With 100 rounds of CCI Mini-Mag I drove up the mountain hoping for a slow day so I’d have some time to try the new rifle out. My wish was granted towards the end of the evening and I quickly loaded and fired all one hundred rounds so we could get the place closed up. Even though I knew the rifle weighed in at over nine pounds I was still surprised by it. 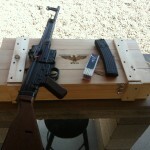 The firearm ships in an Amish hand crafted crate (including plaque on the side) and the firearm stock is not installed while in the crate. 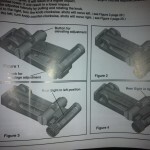 You have to assemble the two parts with the included stock pin. 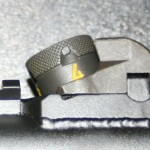 Which can be a little tricky but once you learn to press on the pin’s spring it works fine. I suggest, before doing this, that you learn to take the gun apart first. 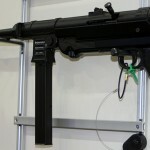 It is easy for the trigger guard to swing down (how the full-auto H&K – MP5 does) unintentionally which will cause some parts to fall or fly out. If you take it apart first you will know how to put it back together if this happens to you. I expect anyone keeping the firearm in the crate will eventually run into this issue. 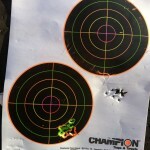 My first 14 rounds are the shots fired on the right. As you can see, they are quite low of the actual target center. I made an adjustment and continued firing off-hand at fifteen yards. 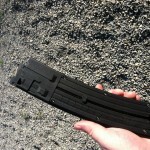 The final ten rounds of the magazine are on the left and are much closer to the intended placement. These were not fired in a slow-fire fashion, the weight of the weapon allows for little movement so subsequent followup shots on the same target is quite easy. Of the entire box of 100 rounds I had three failures to feed, one deformed round I discarded while loading, and one situation where the magazine got confused as to it’s own purpose. In the photos above you will see a blurry image of the top of the 24 round magazine (the ads read 25 round but mine is marked 24 and I never tired to load another round into it). As I hadn’t anticipated having or firing the weapon that day, I hadn’t brought a proper camera with me. This cell phone camera photo was after several attempts to show the brass of the .22LR rounds jumbled up inside the magazine. 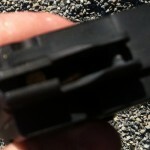 This wasn’t caused by pulling the spring lever of the mag down too far, but by shoving the rounds in one at a time and having them bind up. It isn’t a perfect magazine. I included a picture of the rear sight adjustment from the manual, I had to get mine moved quite a bit to get the rifle on target. It got dark too quickly to continue taking photographs but I assure you my groups didn’t get any tighter. In the iPhone video below you can see that it operates just fine. What you can’t see is how the trigger feels. It has a lot of travel, the break completes like a toy, and then only resets with a complete let-off of the trigger. With an actual StG-44 being NFA only a pitted-metal sample will still cost you around $15,000 and an easy $18,000 for something cleaner. There are only rare examples of semi-auto StG-44’s in the USA, as I recall the PTR91 Inc. imports were limited to 100 count, bringing in about five to six thousand dollars currently. 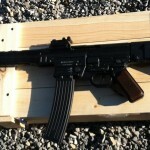 For reenactors, aficionados, or anyone just looking for an off-beat .22LR rifle this is a fun way to spend your money. Just keep in mind you are not going to have much success teaching children the fundamentals of shooting properly if they can’t hold the rifle up. 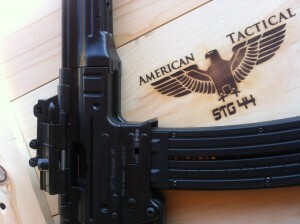 We now just need to wait patiently for the GSG-MP40 to be manufactured and imported. From ATI’s best guess that will be sometime in 2014 at the earliest. I know it wouldn’t be a great seller but I’d like a Steyr-Solothurn M34 in .22LR to round out the old German SMG’s. 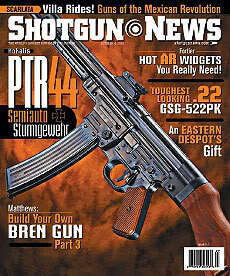 Check out the experimental dial-mag MP40 at Forgotten Weapons, another ..
Great write up, thank you. I will forward this along to our techs and the Germans, as we have extensively tested these guns but need exact feedback from shooters out there as to what they are seeing during extensive shooting. I’ll let you know if I get feedback regarding the things you’ve listed in this review. I recently bought one of these great rifles. I love the rifle. It is utterly reliable. And it is reasonably accurate. However, there is one problem. The rear site has to be set about 1/2 way down the sight rail to get it gun to shoot to center of target. Does ATI have a fix for this? Just got this as a 25th Anniversary gift! Looks great and I’m eager to go shoot it. Although my box came with the 10rd magazine and everyone one who list a magazine is sold out!